Speaking at the Australian Lawyers Alliance Conference in October 2018, The Asylum Seeker Resource Centre’s (ASRC’s) Principal Solicitor, Carolyn Graydon gave an insight into the dark legal world her team face every day in the plight to fight for the basic human rights of people seeking asylum. 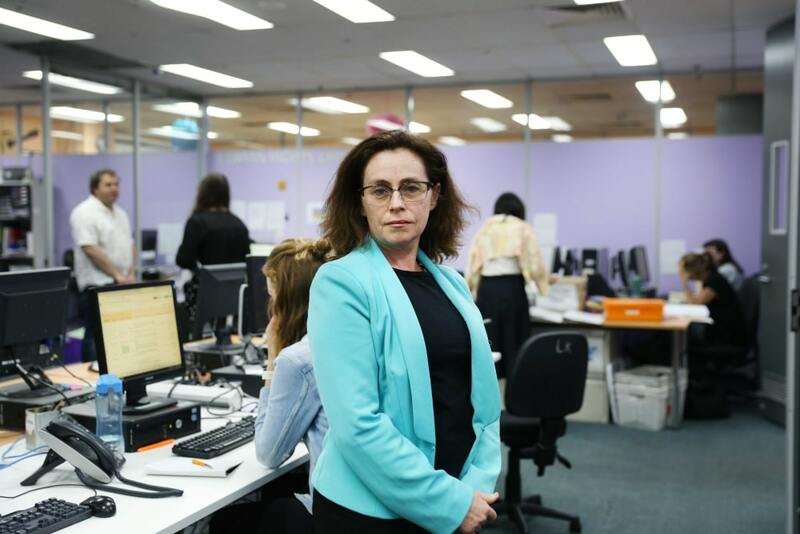 As manager of the ASRC’s Human Rights Law Program (HRLP), Carolyn runs a team of 16 solicitors and over 200 volunteers who are often working around the clock to provide free legal aid to people seeking asylum trying to navigate the increasingly punitive legal system. Even for those of us working within the sector and exposed to challenges faced by people seeking asylum in our community, it is difficult to truly understand the scope and magnitude of the work done by the HRLP. Over the past two years the non-profit community legal centre has faced unyielding pressure as caseloads continue to increase, while the government simultaneously shifts the goalposts for existing applications and processes, making it almost impossible to keep up with appeals and new policies designed to deter and derail applications for asylum. Despite the constantly changing legal landscape, the HRLP team and their extensive network of pro-bono partners are unwavering in their commitment and determination to represent those most vulnerable in our communities, and to use our judicial system and advocacy to hold politicians to account. In 2017/2018 alone the HRLP took on a phenomenal amount of work, with a recent report providing just a snapshot of what the team managed to achieve. It assisted 893 people to seek asylum under the Fast Track refugee determination process, with 75% of these applications being completed in the six months to 1 October 2017. The Fast Track process applies to people who arrived by boat, mainly between 2012-2013 who, by virtue of the timing of their arrival, became subject to the new raft of laws aimed at curbing boat arrivals, including transfer to offshore processing centres such as Nauru and Manus Island, and Fast Track processing. In recognition of their extraordinary efforts, the HRLP Fast Track team received Volunteer Victoria’s ‘Innovation Award’ in November 2017 for the innovative volunteering model used in our Fast Track Clinics and the fantastic work of our volunteers and students. These numbers represent real people, and leave no doubt as to the essential role the HRLP is playing in the fight for the human rights of people seeking asylum. But the reality is the numbers fail to truly represent the extent of the importance of their work on the political and legal processes – not just within Australia, but on a global scale. 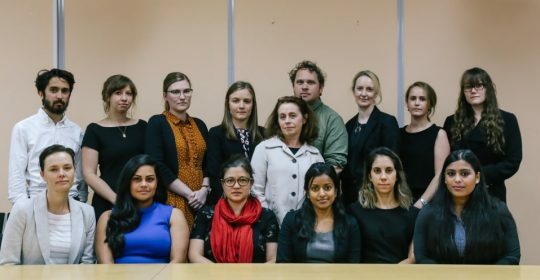 The work of this team and their legal partners is not only changing the lives of people seeking asylum, but is challenging the government’s unchecked power and bringing awareness to an unjust, unfair and often capricious system that is a bad influence on refugee law and policy around the world. Just as their fight has immediate impact on our community, they are leading the way in taking a global stand against fundamental breaches of human rights for people seeking asylum. While as a nation we may be lost when it comes to people seeking asylum, as a team the HRLP are on the warpath. Armed with expertise and fuelled by determination to defend rights, case by case and through policy and advocacy, this team is making true, lasting change. Join the fight for fairness by donating now.